Using this online reporting system allows you to submit a report immediately and print a copy of the police report for free. To request a COPY of a police report, please visit our GRAMA page by clicking here. Depending on your needs, there are a variety of ways to contact the Salt Lake City Police Department. If your inquiry is an emergency, dial 911. If you require an officer to respond but it isn’t an emergency, call 801-799-3000. The Salt Lake City Police Department offers exciting and rewarding careers for both sworn and civilian personnel including: police officer, crime lab technician, data analysts, evidence technicians and office technicians. 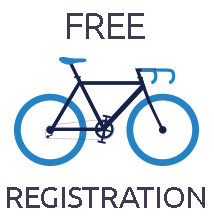 Use this free online registration system to enter details about your bike so we can identify your bike and then find you. 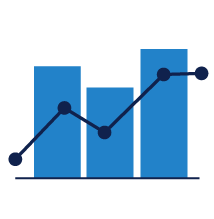 Visit the Open Data page to find resources available to search crime statistics, use-of-force trends, calls for service data, and weekly CompStat reports. Please let us know if you believe a department member provided exceptional service, made a mistake, or violated policy. Should you request to be contacted, we will be in touch between 3-5 days. Community feedback is important to the Police Department and is appreciated. If you want to share a positive experience you had with a department employee, complete a compliment form through the link below. Should you find the actions of a department employee do not match your expectations, you may register a complaint through the link below. If this is an urgent matter, please call 801-799-3351. 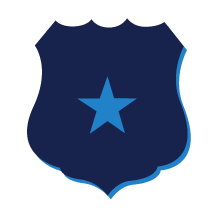 I would like to take this opportunity to welcome you to the Salt Lake City Police Department website. I want everyone who lives, works, and visits Salt Lake City to know that my goals are to work hard to enforce a rigorous standard of community-based policing and to belay concern, uncertainty, and doubt about the amazing impact we have as a department charged with establishing and maintaining order and peace in this beautiful city. We hope that you will find this website helpful to know us better and enhance our community partnership. Read the department's mission and vision statement and find out how SLCPD is committed to giving back to the community. Depending on your needs, there are a variety of ways to contact the Salt Lake City Police Department. If you are experiencing an emergency, call 911. For situations that do not require an emergency response, please call the non-emergency line: (801) 799-3000. WARNING: DO NOT USE THIS SERVICE TO REPORT A CRIME IN PROGRESS. If you have a crime tip that you want to submit, you can do so anonymously by texting or submitting a web tip. You can also download the TipSubmit mobile phone application for quick, easy, and secure tip submission! If you have a problem in your neighborhood—from graffiti to loud parties, drug dealers to gangs—your CIU officer is ready to connect you with the law enforcement and community resources necessary to address the issue. See what programs we offer and how you can be more involved within your community. Join the Volunteer Corp and receive training to report and deter crime. 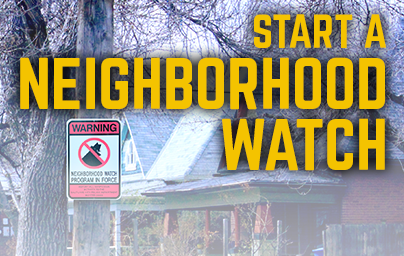 Make a difference in your neighborhood by enrolling in a neighborhood watch. a block, apartment complex or business area. To form a Neighborhood Watch group, contact the Police Department’s Volunteer Coordinator at (801) 799-3361. The Coordinator will provide you with a Neighborhood Watch guide and explain how to get your group started.